All our twist tobacco varieties are manufacured by the same spinning process using dark fired wrapper leaves. The filler is again, predominantly dark fired leaf with the addition of a small percentage of dark air cured Indian leaf. 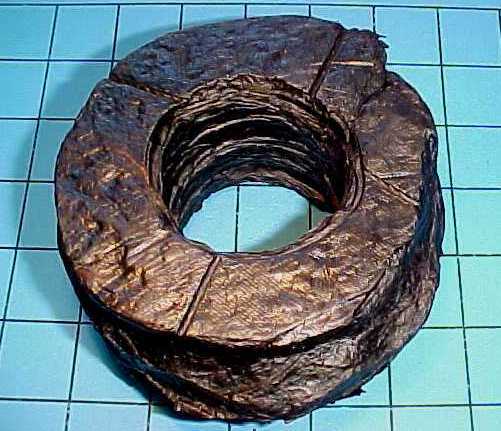 They are therefore strong tobaccos. 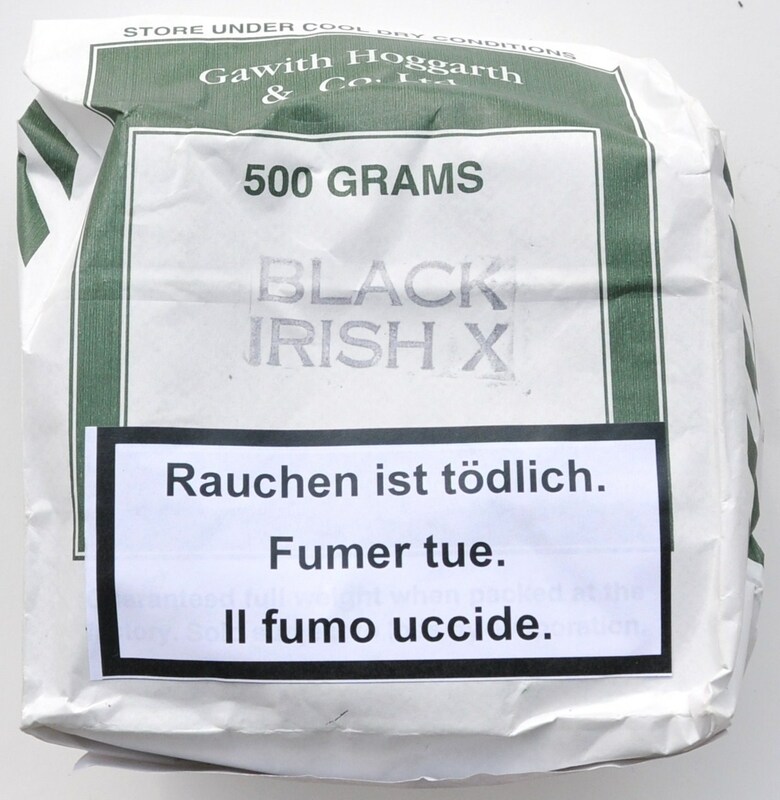 Black Twist, because the cooking process removes some of the stronger tar and nicotine elements, provides a milder smoke than the brown twist. This is a gorgeous looking twist: Jet black in color and very shiny. It comes in a ver compact form, which makes it easy to slice as fine and as even as you wish; it is easy to rub out, pack and light. It burns SO slowly and evenly. 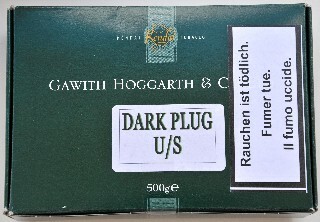 The taste is a bit medicinal during the first few puffs, and then all the charming tonalities start to come through and go on like this till the very last shred of tobacco. The taste is an interesting combination of nuttiness, oiliness and sweetness. 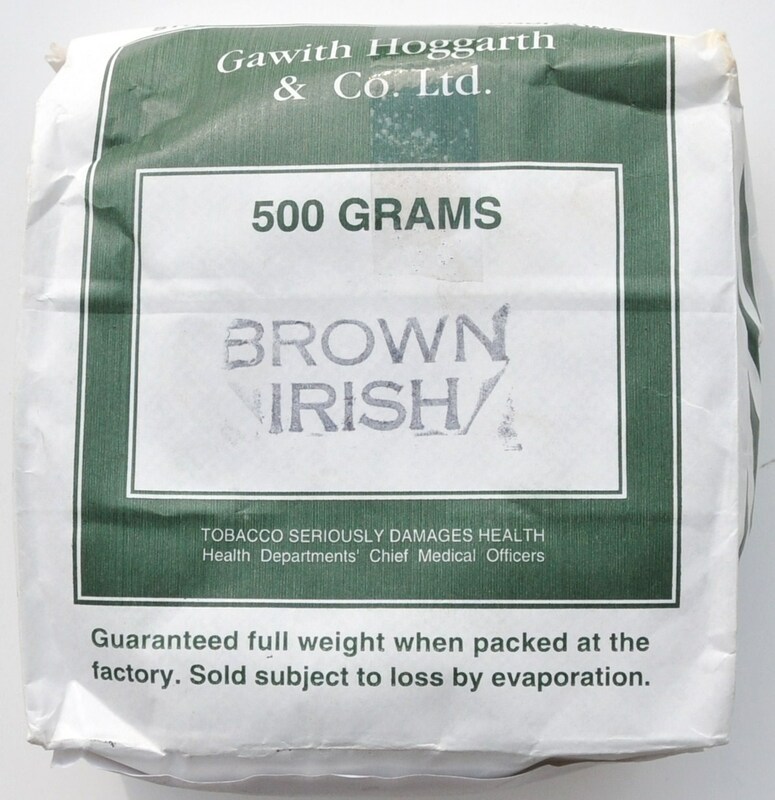 It is an excellent 100% natural VA smoke, with no harshness whatsoever. It's full-bodied without being to taxting on the tonge, throat, head or stomach. A true treat! 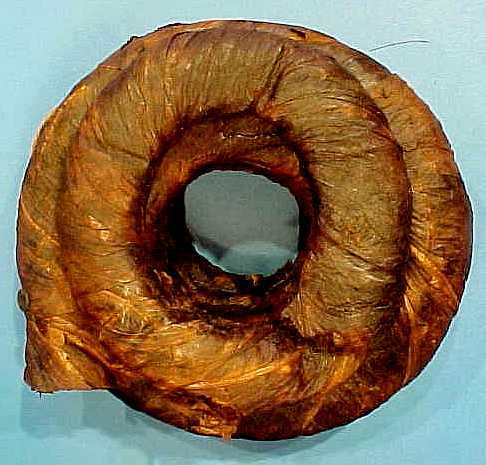 Same as Black Twist but "the brown form... comes straight from the spinning machine, (sliced brown u/s) [instead of undergoing] a further process of cooling under pressure to turn it into black tobacco. 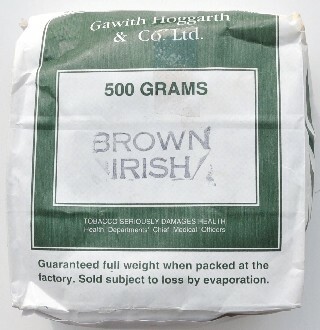 This was the last of the GH tobaccos I tried, and boy, was it a happy ending! It's a truly delicious, full-bodied, pure VA smoke. First of all, it looks GREAT, as you can see, though I had to cut it before smoking! It feels moist in the hand, but after 10 minutes in the open air, it was ready to go into the bowl. The biggest surprise was the strength; I thought it would knock me unconscious. It didn't. Instead, it was so smooth throughout, with no harshness. 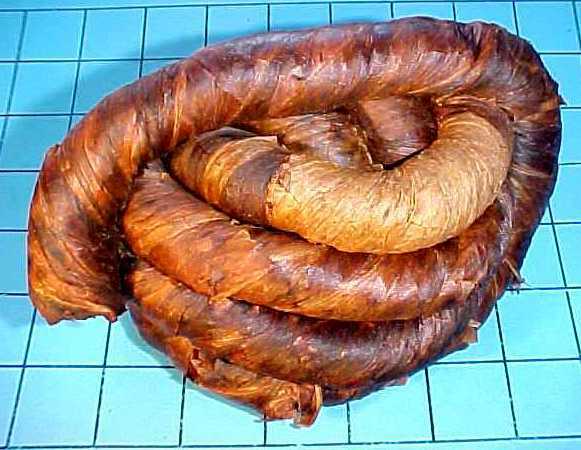 Having said that, it is not a tobacco you can smoke on an empty stomach or any time of the day. The taste is an intriguing mixture of salty, sweet, sour, and bitter; at certain times it tastes a bit like metal, which I like (maybe I smoke the nail that keeps it in place!)! It burns SO slowly and regularly. While it is supposed to be the same as "Sliced Brown", I find it to be only similar. 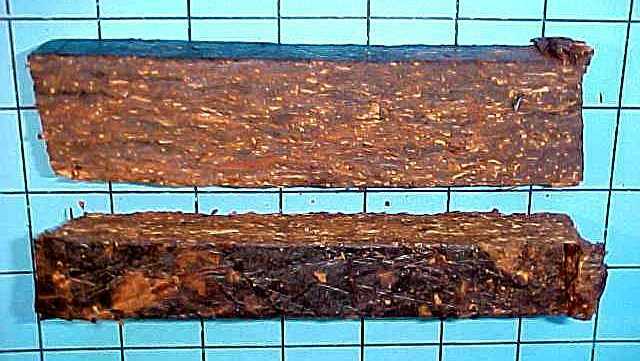 If you like such tobaccos, this could be an absolute winner. 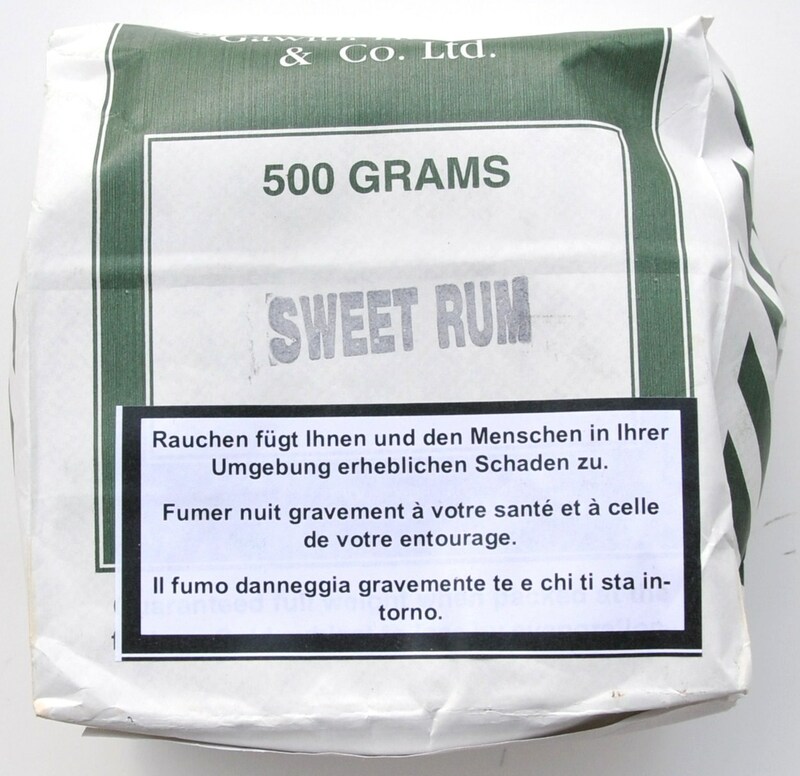 The main feature of this tobacco is the addition of Maple Sugars blended with Rum to the "filler" leaf. This is then spun into a rope form before being made into a roll which is cold pressed over night. The Tobacco is the same as the Brown Irish Twist, but wit ha nice smell of Rum, which provides the smoker wit ha sweet and delicious note. 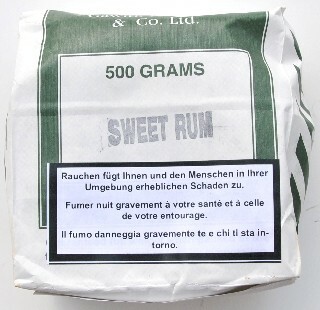 As Dark flake u/s but, from the cake, the tobacco is cut into bars. This is definitely a sinister-looking tobacco! The blend is the same as Dark Flake; however, I find it to be a bit less sweet and a bit more spicy. Like Dark Flake, it could be a bit taxing on the stomach, at least when the latter is not really full! Gradually the natural sweetness of the leaf used comes through and is very gratifying, without overwhelming the spiciness of the blend. I find the taste to be quite intriguing. 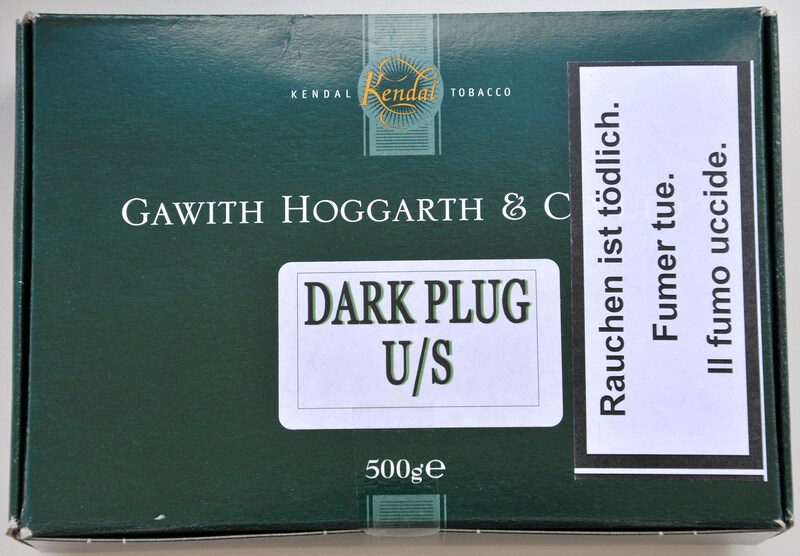 As with plugs in general, the advantage over flakes is that you can control how thin/thick the flakes are and hence, the way the tobacco burns and to some degree tastes.